Liquidation Channel (LC) announces Christmas in July sale events. Why wait until December to get into the Christmas spirit? This July customers will be able to get their favorite jewelry items and accessories at the LC at markdown holiday prices with their Christmas in July sales event, starting on July 24 through July 30. Christmas in July will feature Doorbuster prices and deals that would normally only be found after Thanksgiving. This 7-day event will allow customers to get their favorite summer styles at holiday savings, and from the comfort of their home. These summer Doorbusters will be featuring over 100 new items at doorbuster prices, special deals on countless gemstones, jewelry, accessories, even up to 90% off select items, and will be featured all week long. The purpose of these Doorbusters is the added benefit of early deals and best quality affordable items. Christmas in July will be showcasing special deals all week long. To take advantage of these amazing deals or for more information simply visit http://www.Liquidationchannel.com or http://www.facebook.com/shoplctv. About Liquidation Channel: Liquidation Channel (http://www.liquidationchannel.com) is an Omni-channel business comprised of a home shopping TV network, an ecommerce business, and an outside sales/wholesale segment. It is a global leader in direct sales of colored stones, diamonds, precious metals, lifestyle and beauty products, and a variety of luxury goods and innovative products. 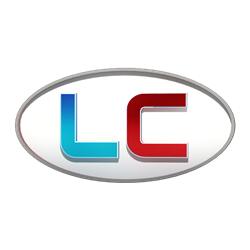 LC specializes in delivering Exceptional Quality, Exquisite Designs, and Outstanding Value, while providing a low-price guarantee on each of its products. The channel’s unique jewelry is available online at LiquidationChannel.com and on DirecTV Channel 75 and 226, Dish Network Channel 274, Verizon FIOS Channel 159, ROKU, AT&T U-Verse 399 and 1399 (HD), Google Chromecast, Amazon Fire, and local cable channels.